Following the coastline south from Rockland, you enter the beautiful town of Owls Head. While a seemingly rural small town, Owls Head offers an array of wonderful beaches, as well as a State Park, Regional Airport, Transportation Museum and Lighthouse. Owls Head became it’s own town in 1921, when it separated from South Thomaston. 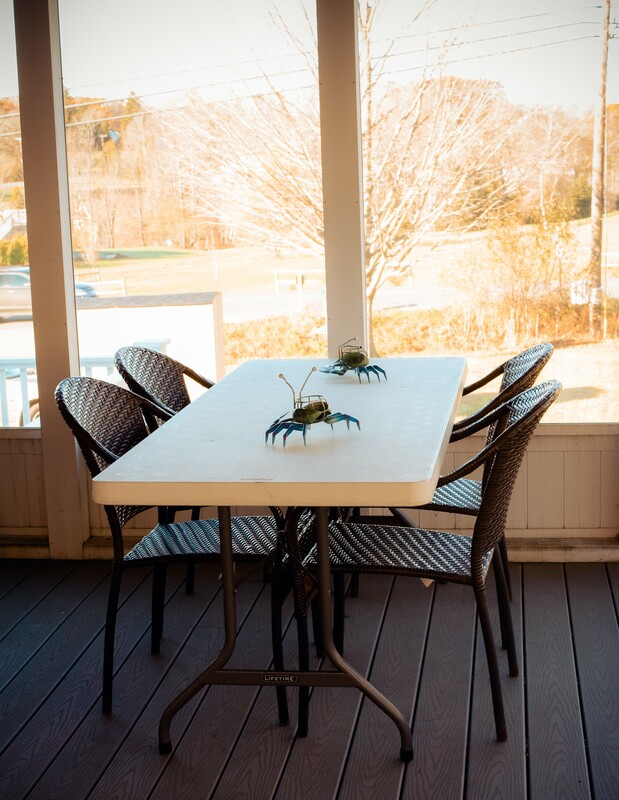 The Homestead at Owls Head takes full advantage of it’s coastal location by offering beautiful views of the harbor from the living room, dining room, kitchen and many of the residents’ rooms. Owls Head has 14 wonderful rooms, some of which are suites and can accommodate small living and dining areas. The Homestead at Owls Head offers residents convenience and ease of living by taking care of the cleaning, laundry and cooking, leaving residents time to relax and socialize. In the summer, the screened-in sun porch provides enjoyment of the outdoors without the nuisance of black flies and mosquitoes. Directions: 7 North Shore Drive, corner of Route 73 and North Shore Drive.